Being the first lady also means having to meet heads of other states and their spouses. 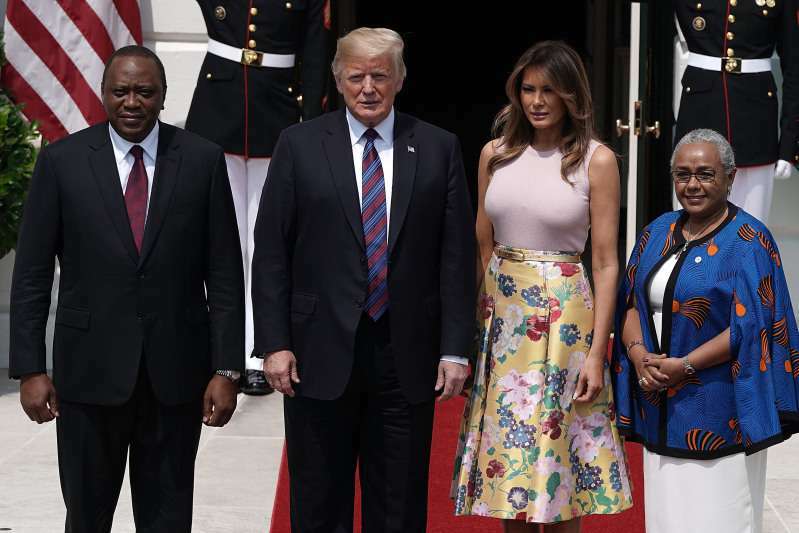 This time, Melania Trump joined her husband in welcoming Kenya’s president and first lady Margaret Kenyatta to the White House. The 48-year-old didn’t let her fashion slip. 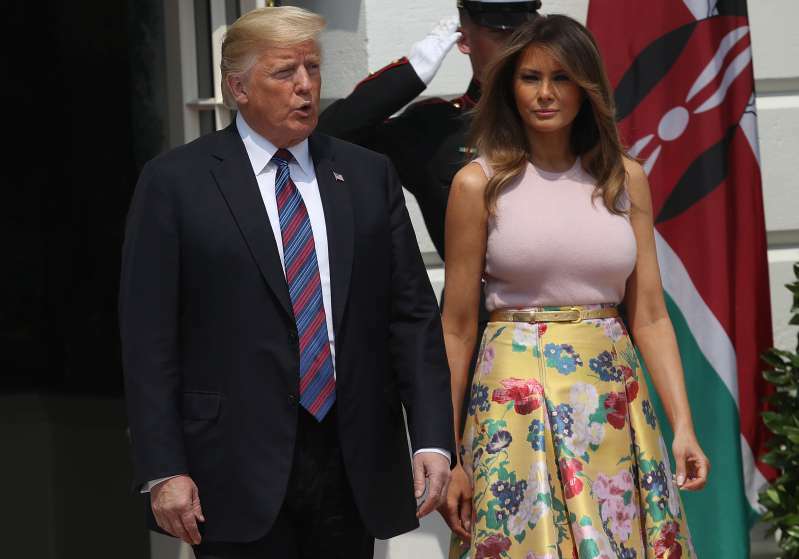 For the occasion, Melania chose a sleeveless pale pink shell and paired it with a knee-length floral skirt from Valentino. It’s a quite expensive piece of clothing as it’s original price is almost $4 thousand! To complete her look, the FLOTUS wore pale pink Louboutin stiletto heels, which she also kept on for the afternoon gardening. Even when you have to plant a tree, you need to do it with style, right? The pastel color palette screamed ‘summer’ and complemented Melania’s skin tone. Seriously, how does she manage to look picture-perfect all the time? It’s worth mentioning that Margaret Kenyatta looked great as well as she appeared in a bright blue cape and white dress. How did the folks on the internet like Melania’s look? 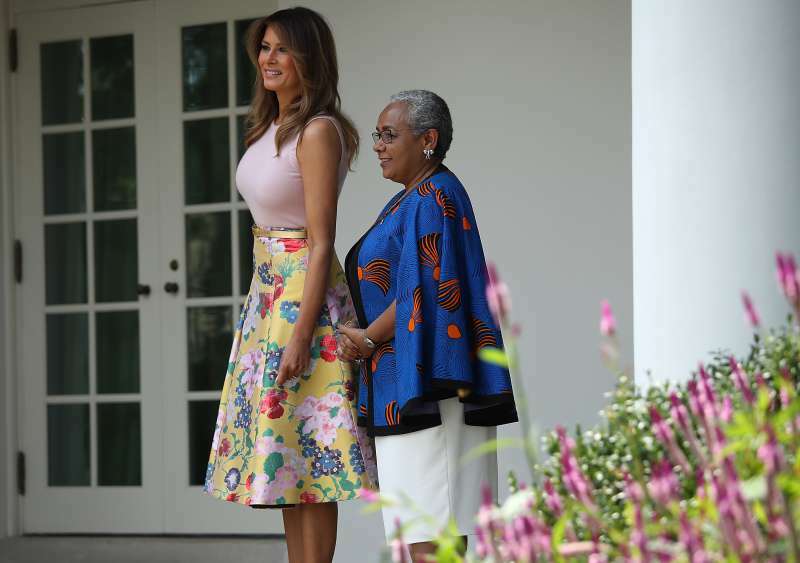 Beautiful as always, best FLOTUS ever and the First Lady of Kenya 🇰🇪 is very beautiful and elegant ! You represent us beautifully! Thank you so much! The First Lady of Kenya is a very pretty woman. Looks like you all had a very good time and talk. We hope that both presidential couples had a productive day and enjoyed spending time with one another!